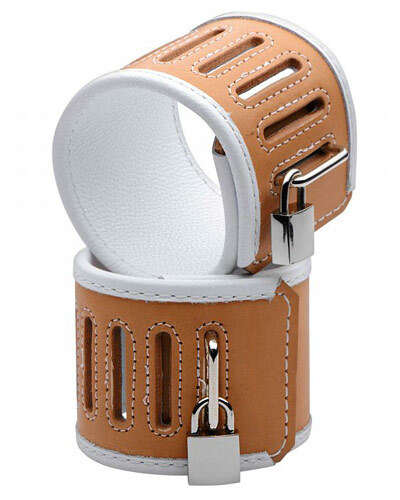 These authentic medical-grade cuffs have extra wide adjustment slots, and are constructed out of high quality tan and white leather. The cuffs feature 6 wide adjustments slits, which accept the square ring buckle easily and quickly. Once through, any device secured to the buckle will secure the patient, whether a lock, strap, or clasp.